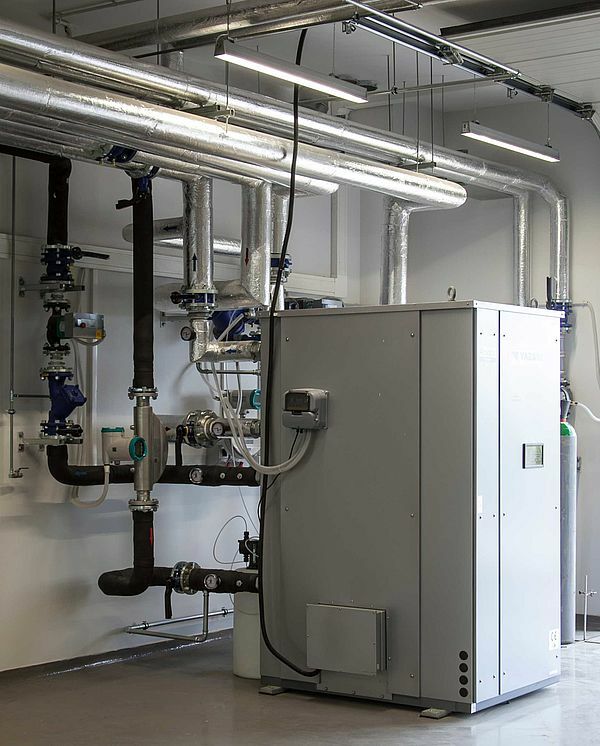 The Laboratory of CHP Systems is an integral part of the Integrated Plus-Energy Laboratory. It is located mainly in the L5 building and its role is to demonstrate and test the latest technologies of combined heat and electricity generation. The laboratory equipment includes several micro CHP units with power from 1kWe and 20kWt, up to 30kWe and 80kWt, representing various technologies. These systems are based on: gas reciprocating engines, external combustion engines (Stirling), gas microturbines and fuel cells. The Laboratory also includes a heating system with a gas and biomass boiler, a gas turbine with a capacity of 120kWe, co-functioning with 20kWe ORC power system using low temperature heat, a piston engine CHP system based on syngas from biomass gasification unit, absorption cooling systems using waste heat and heat solar collectors, heat pumps and heat storage. These laboratory units are integrated and controlled via a local energy management system managing production, distribution and consumption of electrical energy. integration of microCHP with unstable sources of electricity from renewable sources: small wind turbines, photovoltaics – stabilization of energy production. The laboratory operates on the basis of an extended BMS system and specialist software for the work devoted to the search for optimum energy balance for a variety of renewable energy devices operating in a power grid. This laboratory also includes a set of central loT (Internet of Things) allowing for communication and control of equipment located in a statistical household. simulation of cogeneration units in terms of real objects.